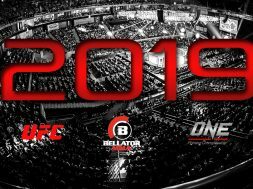 Kyle Cadra takes a look at the next few months and tells us what MMA fights to watch in 2019. Looking forward to the next couple months of MMA around the world, it looks like the most pivotal fights will be taking place in the UFC, Bellator and ONE Championship. Names like Jon Jones, Anderson Silva and Demetrious “Mighty Mouse” Johnson will feature prominently, as well as some names you may have not have heard of like Angela Lee, Israel “The Last Stylebender” Adesanya and Ben Askren competing in some of the to MMA fights to watch in 2019. The UFC continues to be the face of MMA, but it is going to need a great year to keep that spot. A lot of big name fighters are finding more money and opportunity elsewhere. 2019 has already started strong with TJ Dillashaw moving down to fight Henry Cejudo for the Flyweight Title. Rumours were circulating that if Dillashaw won, the UFC would scrap the Flyweight division all together. That doesn’t look to be happening anytime soon, with Cejudo scoring a controversial KO in just 32 seconds of the fight. Whether it should have been stopped or not will remain a debate for the months ahead, but what is certain is after beating both Demetrious Johnson and Dillashaw, Cujedo is the new king of the Flyweight division. The UFC hit the jackpot when they signed Israel Adesanya. “The Last Stylebender” is a former Muay Thai and Glory kickboxer who turned MMA fighter and lit up the scene in 2018. With a record of 15-0, 13 by way of knock out, he is set to face Anderson “The Spider” Silva in his biggest challenge on February 9th in Melbourne, Australia at UFC 234. The event will be headlined by Robert Whitaker defending his Middleweight Title vs Kelvin Gastelum, an exciting division that includes the likes of Eryk Anders, Yoel Romero and Luke Rockhold. If Adesanya can get past Silva in impressive fashion, it will be one of the best MMA fights to watch in 2019. His will be one of the most talked about names in the sport, potentially challenging the winner of the main event and attaining super star status before the end of the year. Jon Jones and Tyron Woodley both defend their belts on March 2nd. Jones will be facing dangerous veteran Anthony Smith, a fighter who has fought his way from the bottom of his career to go 14-2 in his last 16 bouts, finishing the likes of Shogun Rua and Rashad Evans. Woodley will be defending against Kamaru Usman, one of the young prospects in the division. If Woodley wins, he will be eying a move to Middleweight, but if Usman wins, the Welterweight division will catch flame. Among the challengers who would line up to take on Usman, would be Former Bellator and One Championship Welterweight Champion Ben Askren. The undefeated wrestling sensation will be making his long anticipated UFC debut on the same card against former Welterweight Champion “Ruthless” Robbie Lawler. Askren’s biggest challenge to date, if he can beat Lawler, we could be looking at one of the best Welterweights since Georges St-Pierre and one of the most exciting MMA fights to watch in 2019. With Bellator having signed Rory Macdonald and Gegard Mousasi in 2018 it is always interesting who they add to their roster next. Bellator is lucky to have Scott Coker at the wheel, a man who knows how to put on stellar fights and find future stars. Coker is the former owner of Strikeforce, which was home to such names as Luke Rockhold, Tyron Woodley, Daniel Cormier and Ronda Rousey, all whom became UFC champions. One of Bellator’s brightest stars is the kickboxer from London, Michael “Venom” Page. With a record of 12-0, Page brings unmissable action: just watch his devastating flying knee knockout over Evangelista “Cyborg” Santos. While you are at it, look up a clip of fellow Brit, Paul Daley knocking out Brennan Ward on Bellator, so you are aware of the violence you will witness when Page and Daley finally fight each other on February 16th, easily making it one of the best MMA fights to watch in 2019. It will be the hardest challenge of Page’s career, with Daley being a veteran of the sport, having faced Nick Diaz, Rory MacDonald and Jon Fitch. The fight is part of a Welterweight Grand Prix Tournament, with the winner will moving onto to fight former Bellator Welterweight Champion Douglas Lima in the semi-finals. ONE Championship is becoming a world class force in combat sports, with Muay Thai, kickboxing and boxing added to their MMA shows. Every fight on any ONE card is exciting, from the preliminary bout to the main event. On March 31st, ONE Championship: A New Era takes place in Tokyo. The event is going to grab headlines across the globe, with arguably the greatest fighter in the world today, Demetrious “Mighty Mouse” Johnson, and former UFC and Bellator Lightweight Champion Eddie Alvarez both making their ONE debuts. The even will also feature MMA legend Shinya Aoki and a main event that sees the 22-year-old Atomweight Champion Angela Lee moving up to challenge Jing Nan Xiong for her Strawweight Title. 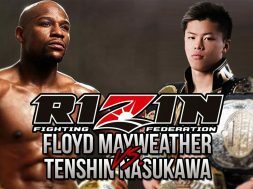 For ONE it is a brilliant move to showcase one of their brightest stars on an event with some of MMA’s biggest stars. 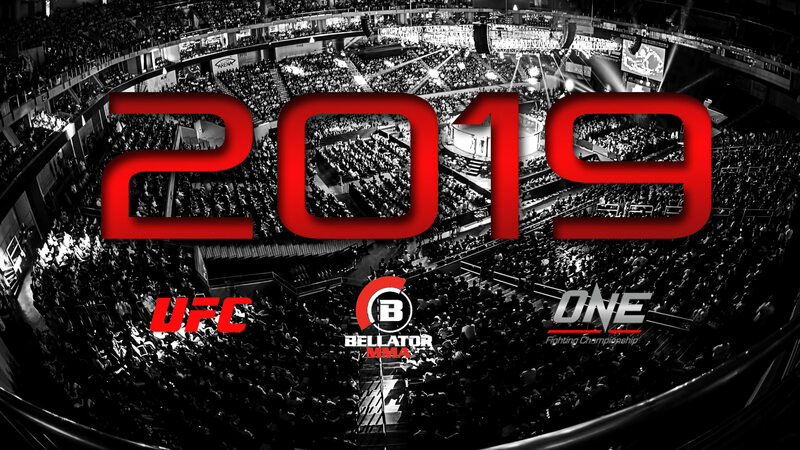 The most interesting thing in MMA to look forward to in 2019, is the overall growth of MMA around the world through the different MMA organizations. 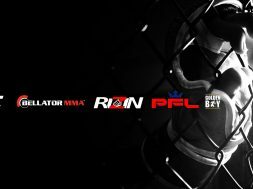 While the UFC, Bellator and One Championship will be making the most headlines in the first quarter of the year, there is no doubt that competition is heating up. Kyle Cadra A fan of combat sports for nearly a decade after his best friend introduced him to the UFC in 2010, Kyle has spent endless nights in his basement watching every combat sports event that takes place each weekend. With aspirations of becoming a professional MMA fighter by the age of 28, he loves to write about combat sports and share fighters' stories, as he believes that they can be inspired to change their lives like he has. Kyle believes in the transformational power of martial arts and their ability to make people grow.